In addition to this, we !!finally!! took care of the second mortgage balloon payment, a financial burden that has been becoming increasingly worrisome over the course of the last six months as we went back and forth with our mortgage banker about how we could refinance it. The short answer is that we couldn't, but he was too inexperienced to know that and too incompetent to find that out in a reasonable time-frame or even to return our phone calls EVER. Of course, back when we bought our house, we were assured that we could simply extend the term of our second mortgage without any problems. Now, that program has long since been discontinued. He eventually offered us a personal loan, but that has terms similar to a credit card, so, um, no. Instead we took out a loan against Phil's 401K. Not ideal, but at least we're paying the interest to ourselves. It also means that our 2nd mortgage will be paid off in 5 years instead of 10+ . . . because our monthly payment is going to be a couple of hundred dollars higher. Ouch. But still. Done! One thing to cross off the Worry List. Speaking of the Worry List, Phil finally put lead encapsulation paint on the back staircase, which is a huge relief to me. Whew. Still not done fixing all the less-urgent lead stuff, but we're getting there. So, lots of stress (and stress relief) this week, and lots of me trying to scrape out time to get things done. Not helping is that Theia has been waking up lots in the night again. Maybe teething? She's also been batting at her ears when she's sleepy, which makes me worry about ear infections, but Phil thinks it's because sometimes there's referred pain from teething. Basically, we don't know. It is worrisome. Also does not help with the exhaustion and having lots of stuff to get done. Now that the mortgage's handled, our next big family project is figuring out preschool. Minneapolis folks, does anyone have recommendations or dis-recommendations for preschools in the Uptown/Downtown/S. Mpls area? We're hardly going to buy a second car just to ferry the small one to preschool, so it needs to be busable for us. Sigh. 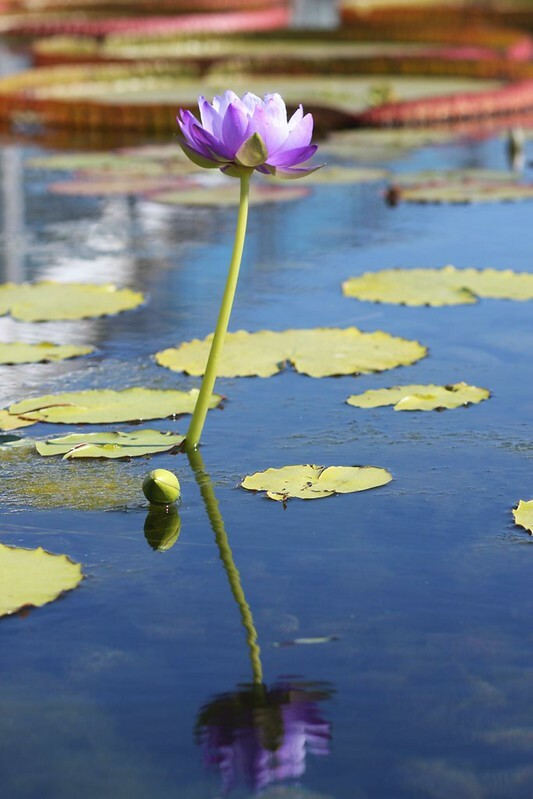 Here's a picture of a water lily, for serenity. P.S. Oh, and I bollixed up my left knee badly enough that it's been hurting constantly for the last few days. I'll try taking it easy for a week and see if it gets better on its own. If it's still this bad in two weeks, a doctor visit is probably in order, and who knows what else. I do not need this.